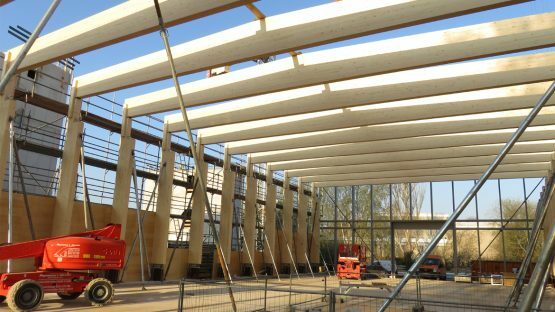 At the construction site in Braunschweig, the test hall is beginning to emerge with the erection of the glued laminated timber, post and binder structure. The gable-sided steel structure that will receive the glass facade has also been erected. The 15m long prefabricated wall and roof panels are already on site awaiting installation. 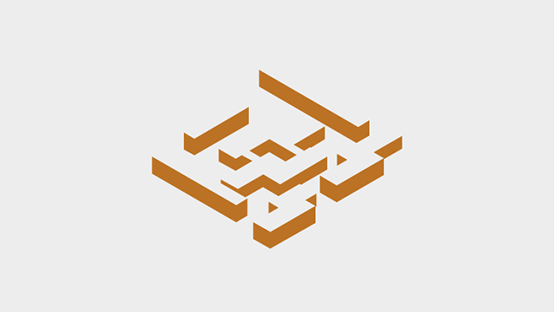 Prefabrication and packaging suitable for transport have contributed significantly to the acceleration of construction. The Centre for Light and Environmentally Friendly Buildings [ZeluBa] is an collaborative initiative of the Fraunhofer Institute for Wood Research [Wilhelm-Klauditz-Institut], the Technical University [TU] Braunschweig and the Institute for Concrete Structures and Fire Protection of the TU Braunschweig. Under the roof of the Fraunhofer WKI, a new building is also being built for this joint competence centre, in which materials and technologies for hybrid construction of multi-storey buildings will be developed in the future. The focus is on sustainable systems, the use of wood as a constructive building material and modular construction methods. 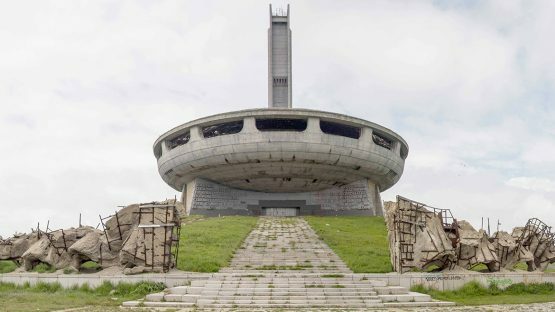 It is precisely these principles of construction and facade design that the proposal of ARGE ZELUBA [DGI Bauwerk and schneider + schumacher] is pursuing in an innovative way. Many clients are not aware that a SiGeKo [health and safety coordination] consultation is not only reasonable during the construction phase but also the planning phase. On the request of a business partner, Dominik Lorentzen [DGI Bauwerk] outlined the importance of an early involvement of SiGeKo during the planning phase. A professional organisation of occupational safety does not end at the construction site but does continue with the future building use. 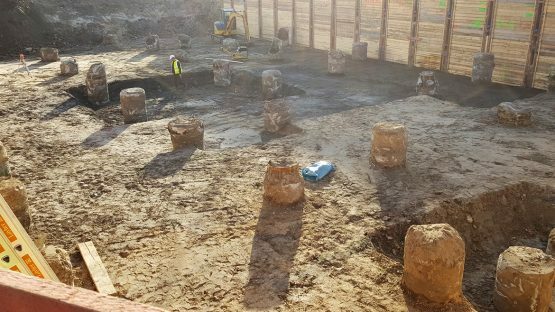 As spring begins, the excavation pit and pile foundation of the new building for 50 Hertz Transmission GmbH have been completed. DGI Bauwerk is assigned to the phases 2-8 of the HOAI. On the 1st of April the realisation phase of the multifunctional building for administration offices and a switching station will start. We thank all clients, business partners, colleagues, long-standing and new friends for a constructive and trusting cooperation as well as for an eventful year 2018. We wish you and your family and friends a peaceful festive season, a good turn of the year and health and success for the New Year 2019. With joy we look forward to the continuation of ongoing projects as creating new joint projects. 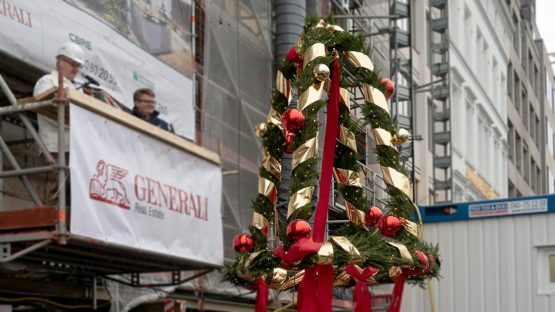 In the presence of Hamburg’s Senator of Urban Development, Dr. Dorothee Stapelfeldt, client Lukas Jeckel from the Generali Real Estate as well as around 200 invited guests the topping out ceremony was held on December 14, 2018. Just before the year ends three colleagues from DGI took the opportunity to participate in the BIM Camp preview. 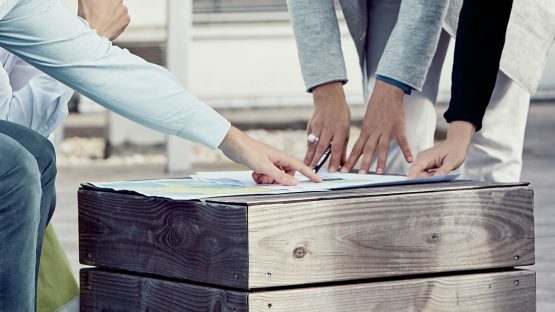 This was the initial trial for an open gathering, where interested architects and planners can have an exchange about BIM – without a fixed agenda or moderation. The contents are developed on-site and processed in small groups. 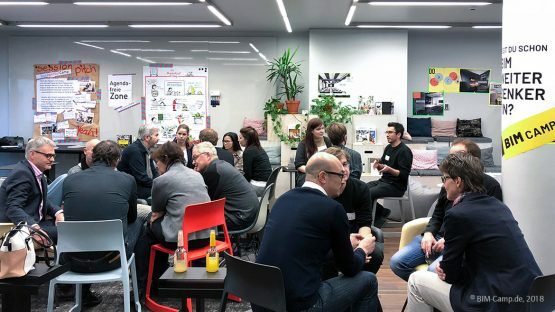 At the Beta BIM Camp 2018 the participants talked about the option of data exchange, the question of how BIM changes our thinking and the connection between creativity and BIM. 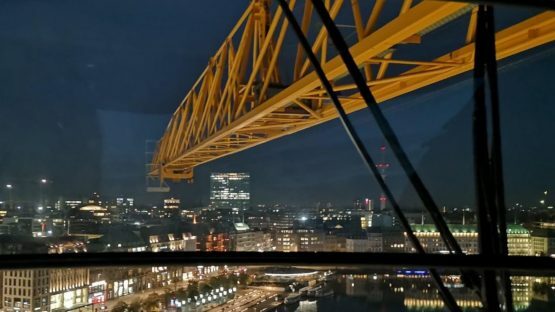 On December 14th, 2018 the topping out ceremony takes place. The eight-storey office building at Ballindamm in the exposed location of the inner city of Hamburg takes shape. Around 5,200 square metres of office and commercial area will emerge here until the mid of 2019. DGI Bauwerk Hamburg takes responsibility for the phases 6-8 of HOAI. 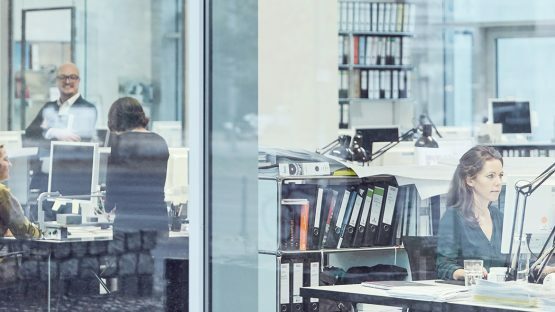 The government programme “Program Dostępność Plus” of the Polish Ministry of Investment and Economic Development is committed to improve accessibility. This concerns urban space, architecture, traffic, products and services. 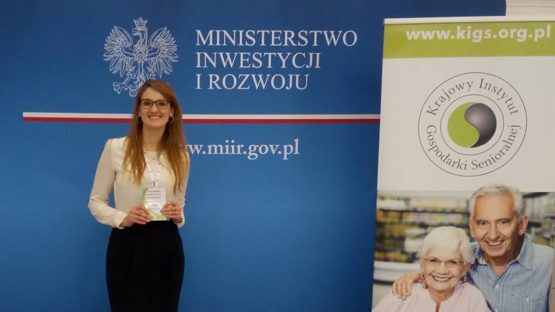 In the context of the “Silver Book” report, Ewa Mikolajczak, architect and associate of DGI Bauwerk Berlin, spoke about the topic of senior-friendly planning and building during an interdisciplinary meeting of experts in Warsaw where the “Polish Institute of Silver Economy” took place.